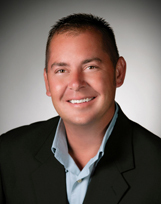 I am a full time real estate Broker since 2005 specializing in residential sales in the Yakima Valley. Nearly all of my business comes from the support of past clients and referrals from past clients. I have cultivated this from the start of my career by careful attention to detail and a high level of service. As your Realtor, I will be an advocate for you. Whether you are buying or selling, I will work tirelessly to promote your best interests. If you are selling, I will work with you to get you the fairest price, in the least amount of time, by using state of the art technology, team collaboration and Berkshire Hathaway HomeServices' superior marketing materials. If you are buying, I will work hard to provide you with the best information and market data to inform and assist you so you can be a well equipped buyer with the strongest possible negotiating position. I understand that buying and selling real estate can be stressful. I will work hard to lower your stress level and make your experience as pleasurable as possible. I will accomplish this through constant communication, and by being accessible whenever you need me. When not assisting clients, I enjoy spending time with my family, fishing and enjoying outdoor recreational activities throughout our beautiful state.